First will be running replacement services as from Monday 16 March to cover many of the Western Greyhound routes including the 522, 551, 550 and 520. They will run to timetables virtually identical to the Western Greyhound times except that the 550, 551 and 522 services will not run to Treliske. 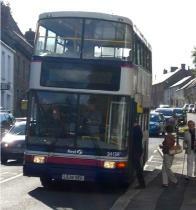 They will start and finish at Truro bus station. 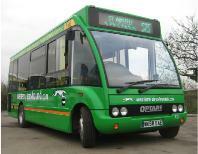 The Tregony and Grampound timetables are available on this website. Follow link to Buses. The new Probus timetables will be published shortly. For a listing of all Western Greyhound services and which bus company is covering them, plus links to new timetables see Cornwall Council website.